Smart technologies make for endless possibilities for your home. We have written about home security devices and the best thermostats to keep your home comfortable. What you my not know is that there are innovative devices that do things you never thought of, such as preventing your home from flooding due to a leak or broken pipe or monitoring the weather with your very own smart weather station. In this article, we talk about smart water valves, a smart outdoor lighting control, and an state-of-the-art, self-contained weather station that lets you monitor the weather first-hand. Without further ado, let's check start with the smart water controller valves! Is it compatible with your smart hub? There are two basic types of water valve controllers. The first is for shutting off the main water supply to your entire household, while the second type is for watering your lawn, flowerbeds, and other outdoor areas. You know what you're using the valve controller for, and that's great. However, water valve controllers are not created equal. Some offer built-in capabilities such as leak detection and water usage management, while others may only offer remote operation of the valve. As with anything that's new to the market, it's a good idea to thoroughly research the compatibility of each water controller you're considering. Go further than a quick scan of the product description and technical specifications. Take some time and read several reviews, both positive and negative, about the product. You'll learn a lot about what other customers have experienced installing and using each valve controller. This review article is a bit different, in that we have products from three distinct categories. To make it easier, we're grouping the water valve controllers together, with reviews of the other two products to follow. Since we have three water valve controllers to talk about, we're putting them all together right here. Let's dive right in! The WaterCop Z-Wave Electric Actuator Motor uses the latest wireless technology to manage your home's water supply. The soft-touch controller is designed for use indoors. It should not be used for outdoor applications where the control panel will be exposed to water. This works great for cutting off the water from my incoming line before it gets to my water softener. I’ve setup multiple moisture sensors that will trigger the water cop should any leaks occur. I’ve tested it and it works great. I’m very pleased with how fast the unit works and how easy it was to setup. 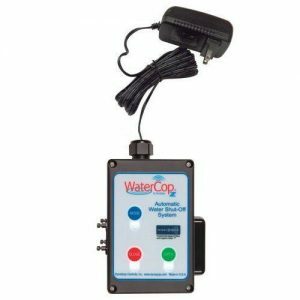 This WaterCop Z-wave actuator is easy to install and set up. It works with Z-Wave, HomeSeer, and other smart home systems. Should only be used indoors where there is no exposure to water. Boasting support for up to 15 sensors, this HomeSeer-exclusive Z-Wave Plus product offers a solid controller for managing your outdoor irrigation needs. Built-in valve fault detection automatically shuts off water to a malfunctioning or broken sprinkler head. 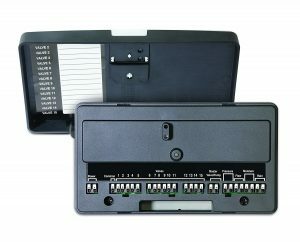 The QI15VZ-1controller also fits into most exterior sprinkler timer cabinets and works with most 24-volt home irrigation valve systems. Does not include on-board scheduling. Product has worked perfectly! Compared to other similar products, it is priced very competitively. I am using this product with HomeSeer which makes it usage very easy. Check to make absolutely sure that your automation solution will support this device in order to insure your success with this product. Another great Nortek / GoControl product! While this is a quality product, its HomeSeer-exclusive compatibility prevents it from being used with Samsung's SmartThing and other popular smart home controllers. The utter lack of customer support means you'll have to figure everything out on your own, from determining which sensors to buy to how you'll manage them with your HomeSeer system. Recommended for those who either enjoy this kind of weekend adventure or customers who already have experience with smart irrigation systems. Despite its bizarre category listing on Amazon under "Industrial & Scientific", this water valve controller/valve combo is designed for use in homes with a 3/4" main water supply. When coupled with a sensor, the HS-WV100 protects your home from water damage by automatically turning off the main water supply when a leak is detected. You can also manage water usage of outdoor spigots and irrigation systems with this device. The product was shipped promptly and arrived in good shape. I started the install by including it in my Z-Wave network as it is easier to do this before the physical install and assuring me that it would work. I did the plumbing myself using 3/4" threaded to copper adapter. Now installed, it works well with my home automation system. The HomeSeer HS-WV100 water valve controller with the 3/4" stainless valve is easy to install and set up for anyone who is comfortable with doing their own plumbing work. 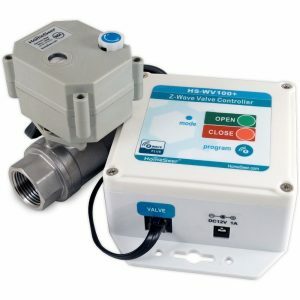 While expensive when compared with similar products, this controller should work well managing the water supply in most homes. To get the most out of this product, be sure to buy sensors for your specific applications. One of the coolest things about smart home technology is that you're not limited to the interior of your home. Outdoor lighting controllers protect your family's safety by working with sensors that detect motion to turn on the lights when an intruder gets near your house. Safety's important and outdoor fun is, too. With a little imagination, you can create a great nighttime atmosphere with a smart outdoor lighting system that will knock their socks off. Read on to learn about an outdoor lighting controller that's perfect for your yard or patio area. 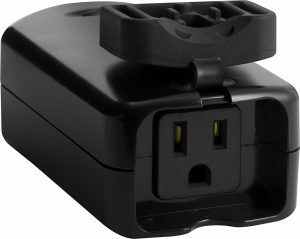 Bring your outdoor areas into the 21st century with a weatherproof switch controller that provides convenient management of outdoor lighting and fixtures from your home's controller or mobile app. I have been using this with a SmartThings hub for over a year now and it has worked 100% of the time. It was first set up on some out door christmas decorations, but after the holidays I took it inside and hooked it to a string of christmas lights I left up in my house as nice evening lighting. Connecting to the hub was easy, and I have a schedule set to have it come on at sundown, and off at 10:30PM. This has worked every night with no missed times. Super-easy setup and reliable operation even in cold climates make this an excellent choice for the home owner who's looking to automate outdoor lighting. Use this 5-in-1 wireless weather station to keep up with the latest weather conditions right outside your home. 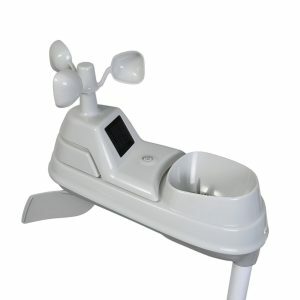 The AcuRite 01512 measures wind speed, wind direction, temperature, humidity, and rainfall. Get 12 - 24 hour personal forecasts with self-calibrating technology that streams changing weather conditions in real time. I Have 2 AcuRite Weather Stations and a Davis weather station as well , I'm a Skywarn Spotter for the NWS and COCORAHS Member so I like having good quality Weather instruments , I've Had the AcuRite 01512 station for about a month now and this is a good quality weather station , Very accurate , The Barometer is right on with all my other weather instruments . The outdoor 5-in-1 sensor is easy to set up and I have it 150 ft from the station and Reception from sensor to station is 4 bars which is Excellent , Signal from sensor to station was acquired in less then 5 seconds . The rain gauge seems to be very accurate matching my other weather instruments . The display is easy to read from any angle, and it's back light makes it easy to read at anytime of the day or night , Personally I think the display has just the right of weather info on it and not too cluttered .The display is by far my favorite of any other weather station I have , The weather ticker is also very useful and very complete . I am very impressed with this product and I would recommend this weather station to anyone without hesitation !!! The AcuRite 01512 Wireless Weather Station is well-built and accurate. Wireless operating range may be affected by signal interference and physical obstruction of the signal path, the same as any device that operates over radio waves. Overall, a great choice for anyone interested in getting the latest weather from their own back yard.